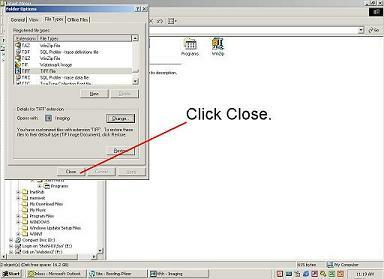 Step 3: A screen will pop up, click on the File Types tab. 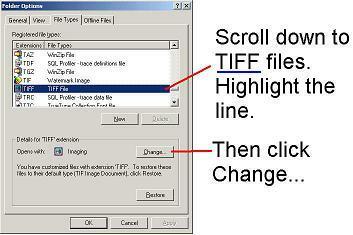 Step 4: Scroll down to TIFF files, highlight (single-click) the line; then click change. 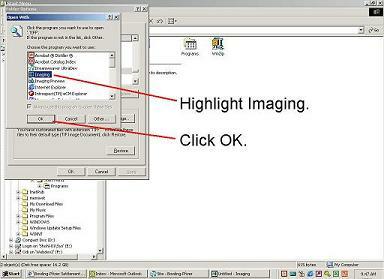 Step 5: Another pop-up screen will appear, highlight imaging, click OK. 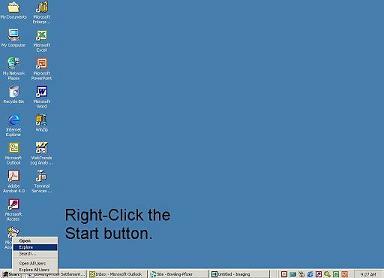 Step 6: Then click Close. 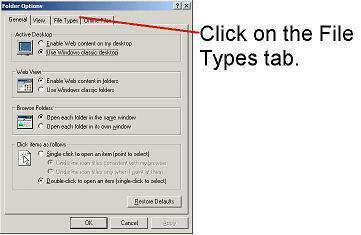 Step 7: Right-click over the Start button; highlight Explorer; then single click. 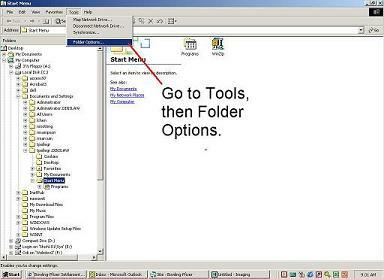 If you prefer to view your files in Abode PDF format, you must download Adobe Acrobat to view them.